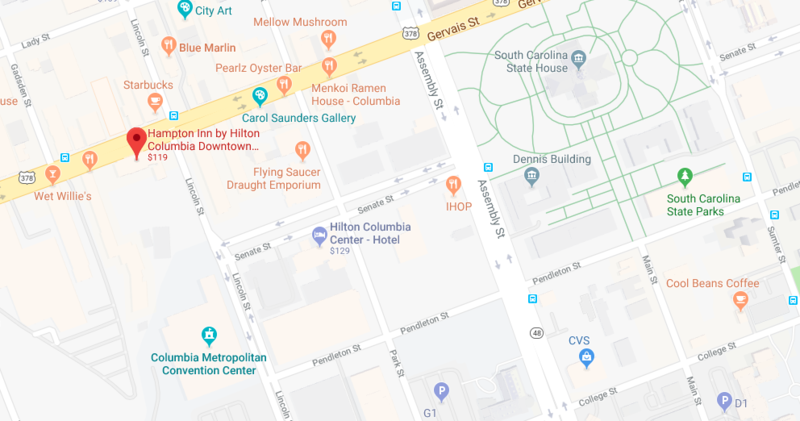 The Urban History Association has secured blocks of rooms at two Columbia hotels for conference attendees. Room availability is on a first-come, first-served basis. The Urban History Association’s reserved block of rooms and the special conference room rate apply through September 18. We have special accommodations available for a very small number of conference attendees coming from outside the United States or Canada. The University of South Carolina’s International House at Maxcy College is generously providing rooms for $75 a night. Only a very limited number of such rooms are available and are on a first-come, first-served basis. Please contact UHA Executive Director Peter Siskind (siskindp@arcadia.edu) to inquire about the availability of these special accommodations at USC’s International House at Maxcy College.